Available from iTunes (US, Mexico, Canada, UK, EU, Australia/NZ and Japan), Myspace Music, Amazon mp3, and Rhapsody. All profits go to the American Red Cross. Wave, Goodbye is an atmospheric instrumental piece inspired by the tsunami in the Indian Ocean in December 2004. I started working on it shortly thereafter, finishing it in record time just after the new year (2005). It has a lot of world music elements in it. I wasn’t too fussy about what I used; if it suited my ear and evoked what I wanted to evoke, I used it without worrying about its musical pedigree. I did, however, manage to work in some Bali gamelan, which is musically relevant since Indonesia was one of the places hit. The music overall is quiet and sad. The brief gamelan section which is about half-way through the piece seems to me to be an echo of happier times, a fleeting memory, in a time of catastrophe and grief. The images on TV were compelling and I’m sure they contributed greatly to this impressionistic soundscape I created. So many have lost so much. For those of you who know only my electronica these next three songs will be a surprise to you, but for those of you who have known me longer, these songs represent a return to what I’ve always done. Though I’ve been using Acid to make backing tracks for older songs with vocals, I have to admit I hadn’t been writing new songs—not for a number of years. I started some, but didn’t complete them. The hurricanes of ’05 and their aftermath seized my dreams and tore through my soul. I couldn’t not write about this. Whirlybirds was the first of the new songs I wrote dealing with this subject. Interestingly, it was written before my own brush with Hurricane Rita. We evacuated ahead of Rita and stayed in a hotel with Katrina survivors. The title was born of the stray thought that after Hurricane Katrina the state bird for New Orleans should be changed to the “whirlybird”. Those “birds”–the Coast Guard’s helicopters–were the dominant image of New Orleans in the early days after the storm. This song was inspired by all those images of people being pulled off rooftops, men, women, children, someone clutching a small dog…the fear and weariness on their faces as they are loaded into those metal baskets that spun dizzingly beneath the helicoptors. Hundreds (?) of chopper missions for the Coast Guard. All day, every day, without a break because there seemed to be no end of people who needed to be rescued. All those aerial images of the city of New Orleans…all those houses and lives gone. The recurring lines “From whence come my help” and “I look to the skies” were unconsciously drawn from the King James version of various Psalms. There are a lot of biblical references to people looking up to the heavens for God to save them. In the old cosmology, God dwelt in the sky or on mountaintops. Those whirlybirds must have looked like angels to those people trapped on the rooftops. Help, indeed, came from the skies. The people who flew those whirlybirds and plucked survivors off the rooftops hourly, all day, over and over, are heros. Everyone who went into that city to do search and rescue work (yes, I mean you, Luce) who brought food, water, and medical supplies are heros. Hurricane Katrina was not just a natural disaster; it was a tragedy on an epic scale. This song honors those who survived and those who saved them. I put together a backing track for it out of various digital files. The problem when it came to recording the vocal was that I don’t have a great voice. After two months of working on it off and on I wasn’t satisfied, but I didn’t think I could get the vocal much better. Because (until now) the songs on my website were digital music with no vocals, I’d managed to dodge the whole problem of not having stellar vocal skills. When thinking of who could sing this song better I immediately thought of my MVB pal Buzzingstrings (Rick Ellis). I knew his voice would suit the song well and he agreed to give it a shot. He did a terrific job. Although I used only his voice on this track, he’s a good songwriter and musician. You can hear some of his own music on his website, Homegrown MP3s. My own hurricane experiences—and those of my friends and family—are incorporated in the song I wrote after Hurricane Rita in which I combined experiences of Katrina and Rita into one song, called appropriately Katrina-Rita. The lyrics touch on common experiences of people who evacuated and came home to devastation with no water, no electricity, and little food. We were lucky: Rita missed us. After the “Texadus” we returned home to find everything intact. But my hometown, Beaumont, was hit very hard; my family and friends who live there are still dealing with the destruction and repairs. It’s very sobering to look around the town and the old neighborhood when I go back. Six months later there are still houses uninhabitable, blue tarps on roofs, businesses too wrecked to reopen, debris on every curb, tree-cutting crews working along the streets, the sound of saws and hammers. The look of the town has changed forever because trees that had stood longer than most people can remember are gone. Houses sit stark and tattered amid the stumps. The lyric for Katrina-Rita could come off trite with that dee-dum rhythm, so I felt like I needed to get a good ‘n’ rough vocal to give it some weight. I deliberately did a very rough vocal on it. I got up one morning, hit the computer and sort of talked my way through it, making sure my voice was roughened in all the right places. I did 6 straight takes, each one better than the previous one before my voice started to warm up. By then I’d gotten what I needed for the song. I will remember these men, women and children, their dogs (who, like my dogs, thought it all a lark), their courage in adversity and their laughter echoing in the hotel lobby…I’ll remember them for the rest of my life. I don’t know where they all went when FEMA turned them out. I did what I could to help while I was there and even returned a month later, but now I can only hope they have found somewhere safe, clean and comfortable, some temporary home from which they can rebuild their lives and the lives of their children. I wrote this song not just for the people I met in that particular hotel, but for all those I saw on the news in the evenings, living in other hotels in other cities, people trying to find a permanent residence, trying to find a job, trying to hold their families together, struggling with the bureaucracy that at times made things more difficult, rather than easier, for people who had difficulties enough. After wailing my way through the vocal a few times (once with a cold) I decided to ask Buzz if he could do for “Hotel Me” what he did for “Whirlybirds”. Again, I am very grateful to Buzzingstrings (aka Rick Ellis, Homegrown MP3s) for his vocal work on this project. This was the last song for this project. I’ve got bits and pieces of more songs, but I wanted to release this music sooner rather than later—and to move on to other, happier, things. I realize that for the former residents of New Orleans moving on to “other, happier, things” is not so easy. Thank You’s I want to thank my husband, Robert; my best friend, Mary; my “voice”, Buzz; my cyberfriend Luce who did rescue work in the aftermath of Katrina; my favorite rock star, Hal Ozsan, who took a moment to answer a couple of questions when I was putting this all together; and the people at the Drury Inn in Sugarland who opened their doors and arms to my husband and I–as well as our two dogs and three fish—at 4am during our attempted evacuation from Hurricane Rita. Thank you all. 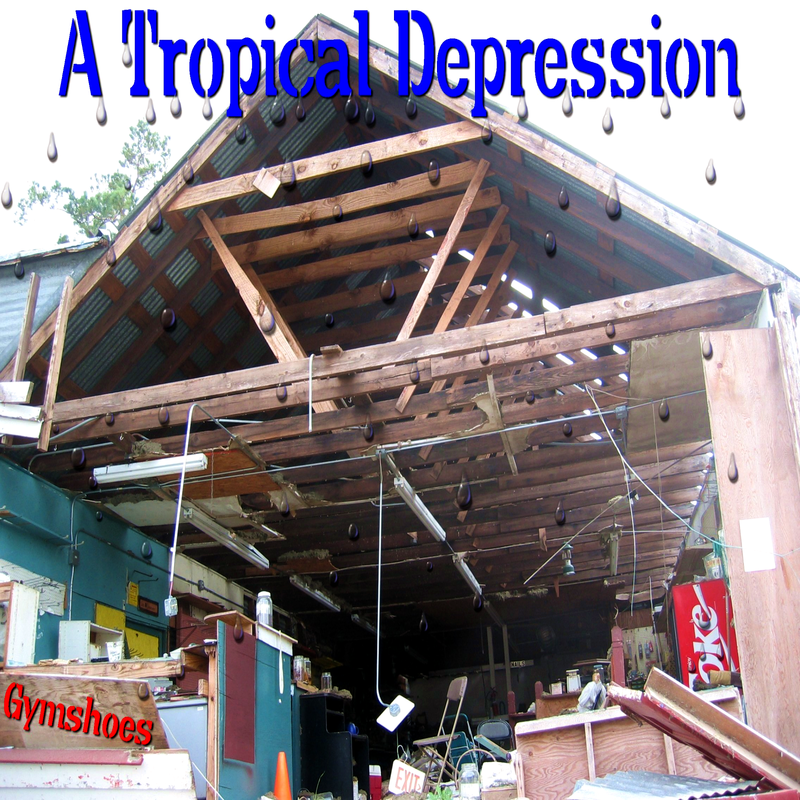 Dedication: This collection of songs is dedicated to the men, women, children and pets who survived Hurricane Season 2005, and the memory of those who didn’t. It is dedicated to the US Coast Guard and those who rendered immediate aid and service to the storm survivors. It is also dedicated to the survivors of the Indian Ocean tsunami and the memory of those who did not survive.